The brilliant tapestry of young stars flaring to life resemble a glittering fireworks display in the 25th anniversary NASA Hubble Space Telescope image, released to commemorate a quarter century of exploring the solar system and beyond since its launch on April 24, 1990. "Hubble has completely transformed our view of the universe, revealing the true beauty and richness of the cosmos" said John Grunsfeld, astronaut and associate administrator of NASA's Science Mission Directorate. "This vista of starry fireworks and glowing gas is a fitting image for our celebration of 25 years of amazing Hubble science." 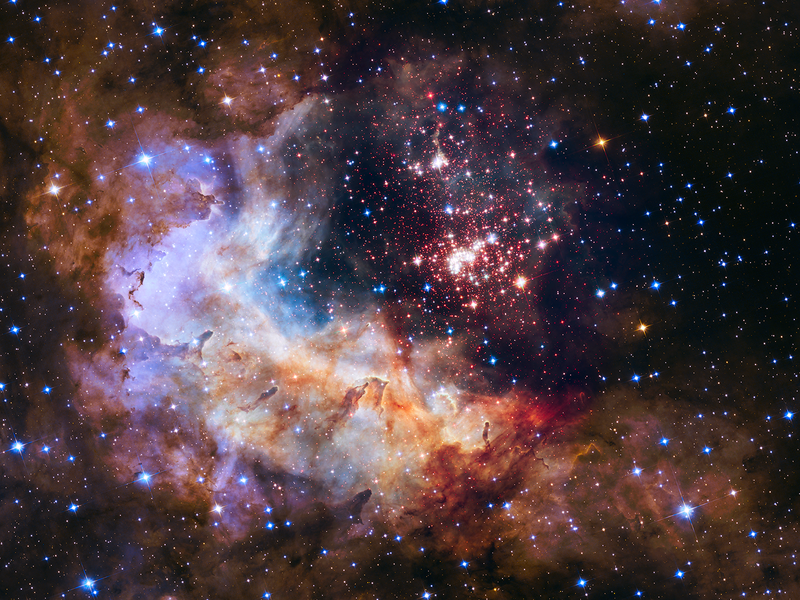 The sparkling centerpiece of Hubble's anniversary fireworks is a giant cluster of about 3,000 stars called Westerlund 2, named for Swedish astronomer Bengt Westerlund who discovered the grouping in the 1960s. The cluster resides in a raucous stellar breeding ground known as Gum 29, located 20,000 light-years away from Earth in the constellation Carina. To capture this image, Hubble's near-infrared Wide Field Camera 3 pierced through the dusty veil shrouding the stellar nursery, giving astronomers a clear view of the nebula and the dense concentration of stars in the central cluster. The cluster measures between 6 and 13 light-years across. The giant star cluster is about 2 million years old and contains some of our galaxy's hottest, brightest and most massive stars. Some of its heftiest stars unleash torrents of ultraviolet light and hurricane-force winds of charged particles etching into the enveloping hydrogen gas cloud. The image's central region, which contains the star cluster, blends visible-light data taken by Hubble's Advanced Camera for Surveys with near-infrared exposures taken by the Wide Field Camera 3. The surrounding region is composed of visible-light observations taken by the Advanced Camera for Surveys. Shades of red represent hydrogen and bluish-green hues are predominantly oxygen. Universe Today · 4 hours ago. As promised, SpaceX is picking up its launch pace in 2015 with a pair of liftoffs from the Florida space coast slated for the next week and a half. SpaceX ground crews transferred a Falcon 9 rocket to its seaside launch mount at Cape Canaveral on Sunday evening in preparation for liftoff Monday with Turkmenistan's first satellite. The European-built communications satellite fastened inside the Falcon 9's payload shroud will relay signals for Turkmenistan's Ministry of Communications for a 15-year mission. Liftoff is set for 6:14 p.m. EDT (2214 GMT) Monday from Cape Canaveral's Complex 40 launch pad. The launch window extends for 90 minutes. Weather forecasters predict a 60 percent chance of favorable weather during Monday's launch window. Progress 57, which arrived at the ISS in October 2014, will undock and depart the station on Sunday, April 26. NASA Television will provide live coverage of the departure of one cargo spacecraft from the International Space Station (ISS) and the arrival of another this month. 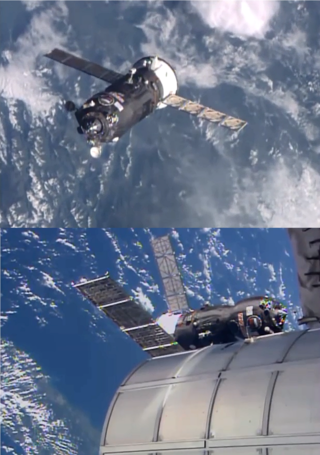 The ISS Progress 57 cargo ship departs the station Saturday, April 25. NASA TV coverage of the undocking will begin at 2:15 a.m. EDT. The Russian resupply ship, which arrived at the orbital laboratory last October, will undock from the Pirs Docking Compartment at 2:40 a.m. After it undocks, the spacecraft will move to a safe distance from the station until it is deorbited on Sunday, April 26. Progress 59 will launch and dock to the station Tuesday, April 28 with almost three tons of food, fuel and supplies for the station's Expedition 43 crew. NASA TV will begin at 2:45 a.m. The spacecraft will launch at 3:09 a.m. (1:09 p.m. Baikonur time) from the Baikonur Cosmodrome in Kazakhstan, make a four-orbit, six-hour trip to the space station and dock at 9:07 a.m. Docking coverage will begin at 8:30 a.m.
Where over the world is NASA astronaut Scott Kelly? Kelly, who is working and living aboard the International Space Station on a one-year mission, wants to test your knowledge of the world with a geography trivia game on Twitter. NASA's MErcury Surface, Space ENvironment, GEochemistry, and Ranging (MESSENGER) spacecraft traveled more than six and a half years before it was inserted into orbit around Mercury on March 18, 2011. After extraordinary science findings and technological innovations, a NASA spacecraft launched in 2004 to study Mercury will impact the planet's surface, most likely on April 30, after it runs out of propellant. NASA's MErcury Surface, Space ENvironment, GEochemistry, and Ranging (MESSENGER) spacecraft will impact the planet at more than 8,750 miles per hour (3.91 kilometers per second) on the side of the planet facing away from Earth. Due to the expected location, engineers will be unable to view in real time the exact location of impact. 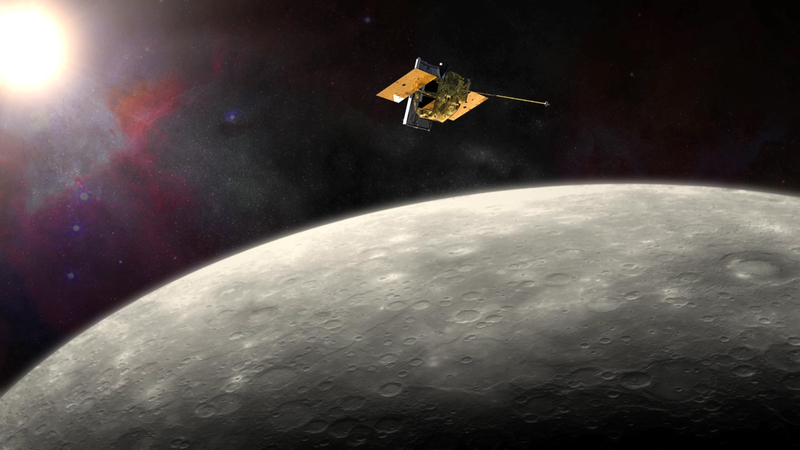 On Tuesday, mission operators in mission control at the Johns Hopkins University Applied Physics Laboratory (APL) in Laurel, Maryland, completed the fourth in a series of orbit correction maneuvers designed to delay the spacecraft's impact into the surface of Mercury. The last maneuver is scheduled for Friday, April 24. "Following this last maneuver, we will finally declare the spacecraft out of propellant, as this maneuver will deplete nearly all of our remaining helium gas," said Daniel O'Shaughnessy, mission systems engineer at APL. "At that point, the spacecraft will no longer be capable of fighting the downward push of the sun's gravity." Although Mercury is one of Earth's nearest planetary neighbors, little was known about the planet prior to the MESSENGER mission. "For the first time in history we now have real knowledge about the planet Mercury that shows it to be a fascinating world as part of our diverse solar system," said John Grunsfeld, associate administrator for the Science Mission Directorate at NASA Headquarters in Washington. "While spacecraft operations will end, we are celebrating MESSENGER as more than a successful mission. It's the beginning of a longer journey to analyze the data that reveals all the scientific mysteries of Mercury." The spacecraft traveled more than six and a half years before it was inserted into orbit around Mercury on March 18, 2011. The prime mission was to orbit the planet and collect data for one Earth year. The spacecraft's healthy instruments, remaining fuel, and new questions raised by early findings resulted in two approved operations extensions, allowing the mission to continue for almost four years and resulting in more scientific firsts. A dark layer covering most of the water ice deposits supports the theory that organic compounds,  as well as water, were delivered from the outer solar system to the inner planets and may have led to prebiotic chemical synthesis and, thusly, life on Earth. "The water now stored in ice deposits in the permanently shadowed floors of impact craters at Mercury's poles most likely was delivered to the innermost planet by the impacts of comets and volatile-rich asteroids," said Sean Solomon, the mission's principal investigator, and director of Columbia University's Lamont-Doherty Earth Observatory in Palisades, New York. "Those same impacts also likely delivered the dark organic material." In addition to science discoveries, the mission provided many technological firsts, including the development of a vital heat-resistant and highly reflective ceramic cloth sunshade that isolated the spacecraft's instruments and electronics from direct solar radiation - vital to mission success given Mercury's proximity to the sun. The technology will help inform future designs for planetary missions within our solar system. "The front side of the sunshade routinely experienced temperatures in excess of 300° Celsius (570° Fahrenheit), whereas the majority of components in its shadow routinely operated near room temperature (20°C or 68°F)," said Helene Winters, mission project manager at APL. "This technology to protect the spacecraft's instruments was a key to mission success during its prime and extended operations."